Certified Pre-Owned (CPO) Education Sponsorship creates an opportunity to raise awareness and promote education of your certified program to one of the largest audience of in-market auto shoppers. 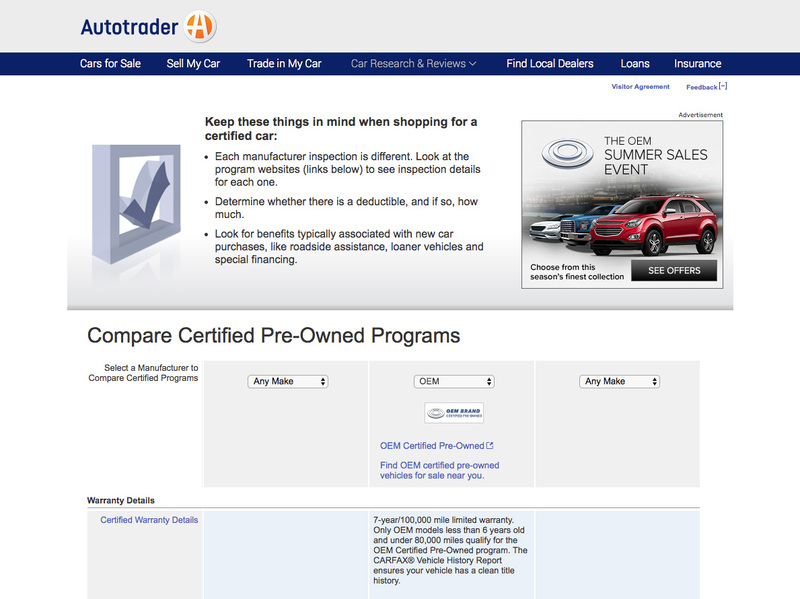 Educate in-market shoppers about OEM Certified Pre-owned (CPO) program details and the overall benefits of buying a certified vehicle. Ad must follow site standards, guidelines and template. One link must click through to the Autotrader search path with sponsored brand pre-populated. 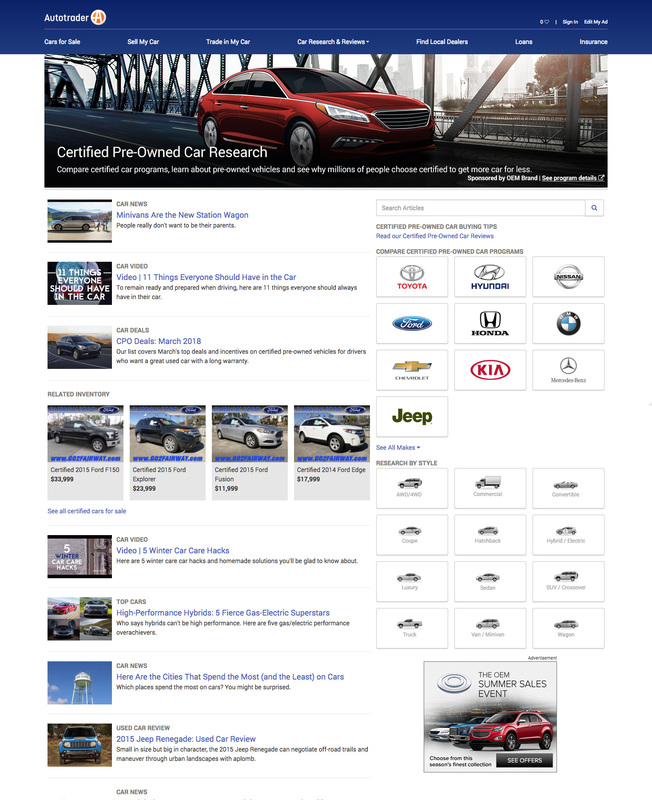 Native ad unit on Homepage – Fulfillment by Autotrader; assets provided by client. Logo height not to exceed 40px. Width can vary. Horizontal Logo preferred. Logo height not to exceed 40px. Width can vary. Horizontal logo is preferred. Homepage Unit – Open a Salesforce case for Ad Ops Design.